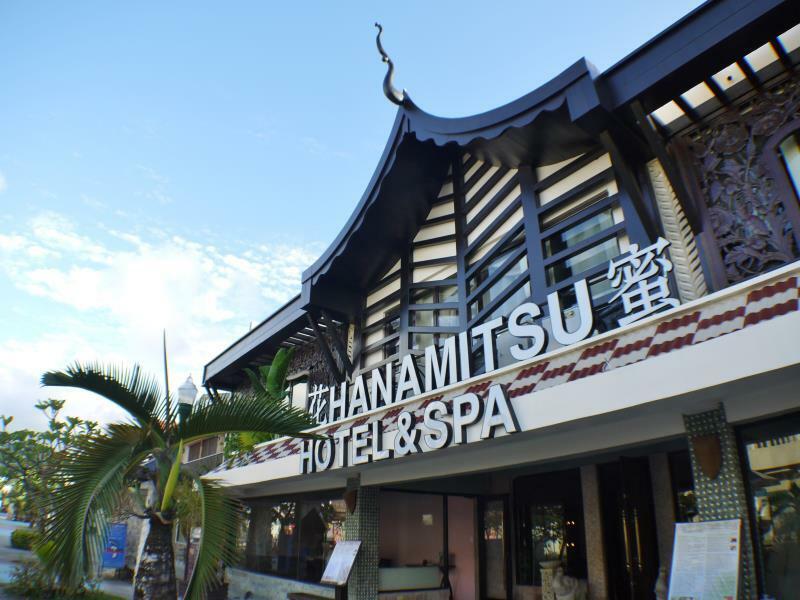 يشكل فندق Hanamitsu Hotel & Spa بموقعه الممتاز في قلب جارابان نقطة انطلاق ممتازة لاستكشاف سايبان. يجذب هذا الفندق ذو 3 نجوم، والذي يبعد 0km فقط عن وسط المدينة و 14.8 km عن المطار، الكثير من الزوار سنوياً. إن سهولة الوصول من الفندق إلى المعالم السياحية الشهيرة الكثيرة في المدينة كمثل Paseo De Marianas Street, Micro Beach, I Love Saipan - Star Sands Plaza هو استثنائي بحد ذاته. استمتع بالخدمات الراقية والضيافة التي لا مثيل لها بهذا الفندق في سايبان. يقدم الفندق واي فاي مجاني في جميع الغرف, مكتب الاستقبال على مدار الساعة, واي فاي في المناطق العامة, صف السيارات, التوصيل من وإلى المطار لضمان الراحة القصوى لضيوفه. في الفندق غرف نوم يتجاوز عددها 20، كلها مجهزة بعناية وجمال وبعضها مزود بـ غرفة معيشة منفصلة, تلفزيون بشاشة مسطحة, اتصال لاسلكي بشبكة الإنترنت (مجاني), غرف لغير المدخنين, مكيف هواء. سواء كنت من محبي الرياضة أو كنت تتطلع لتفريغ عناء نهار صعب، ستجد خدمات ذات مستوى عالي بانتظارك كمثل ساونا, سبا, تدليك. مهما كانت دواعي سفرك فإن Hanamitsu Hotel & Spa هو خيار ممتاز لإقامتك في سايبان. Request room cleaning,did not do ,ask for bath towel take 3hrs. Request room to ground level did not arrange and not inform detils at all. Promised help to carry luggage from level 3 ,request for service and informed no manpower can help. Never try, don't ruin your trip. Pictures on website is not what hotel looks like. Just marketing photo to fool people. No TV in the rooms. Please don't stay here, very dirty, got TV but no signal received, got wifi but only one bar. Sofa dirty, bed dirty, floor dirty, toilet dirty. Facilities were all broken, as my holiday's mood broken too. Skip this hotel, you can find better with this amount of money for sure. Thank u so much FEEL❤️ i love saipan🇺🇸🇲🇵 See u soon!!!! We stayed here for 3 nights. First of all, the staffs did not have any smiles on their faces at all. Although the mgr willing to change our room to upper floor (which the room on ground floor is just so bad), the staff there still have no smile. Secondly, the towels are real dirty, you can see black and brown dirt on the towels, looks very old. The bathroom is old, not renovated at all. This hotel building only looks nice on the front side, but looks real bad and old at the back! Thirdly, we stayed here for 4 days however the wifi wasn't working until the last day! We have already reported to the staff. It creates many inconvenience for us. Lastly, the Korean guests in next rooms are so LOUD early in the morning at 7am. They just don't considerate other ppl feelings. They opened their doors and talked loud and laugh, and cook in their rooms and create many noises. 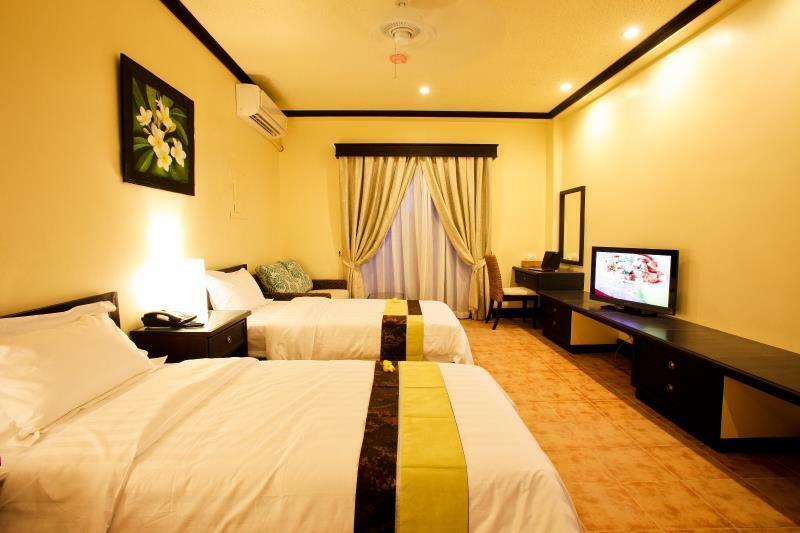 Just one good thing for this hotel is the location, which it is located in Garapan center. But SAIPAN is very small, you can just walk around or if you rent a car, you can go anywhere within a day. Overall, we will not recommend this hotel at all, choose other hotels instead. i really enjoyed my stay @ hanamitsu. it's pretty quiet, rooms are big, love their bathroom which was very similar to the bathroom in japan's tokyo metropolitan hotel. i also appreciated the cable tv. it allowed me to "veg out" and watch the nba finals. the location is pretty nice. it's close to shopping boutiques, bakery, restaurants, and other hotels as well as the american memorial park. 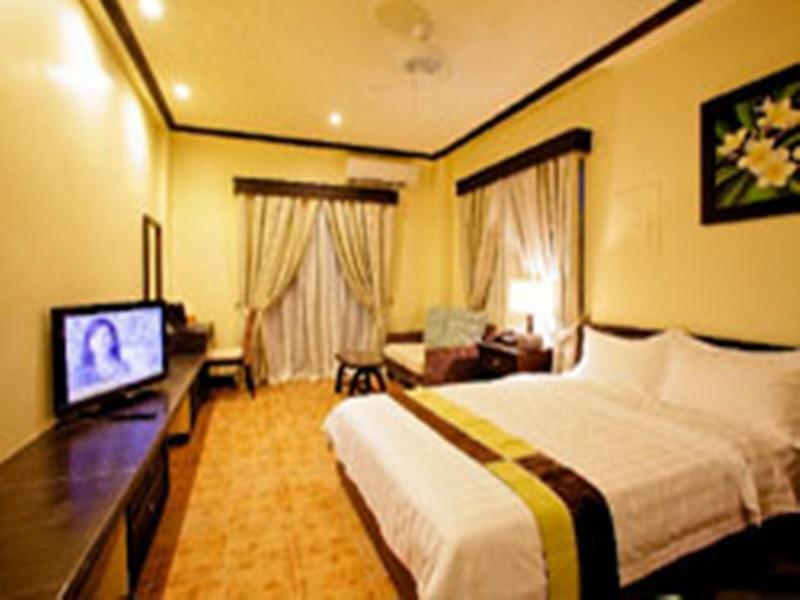 1, it is very great hotel which is located in the city center. Friendly staff,cleanning room and cheap price. 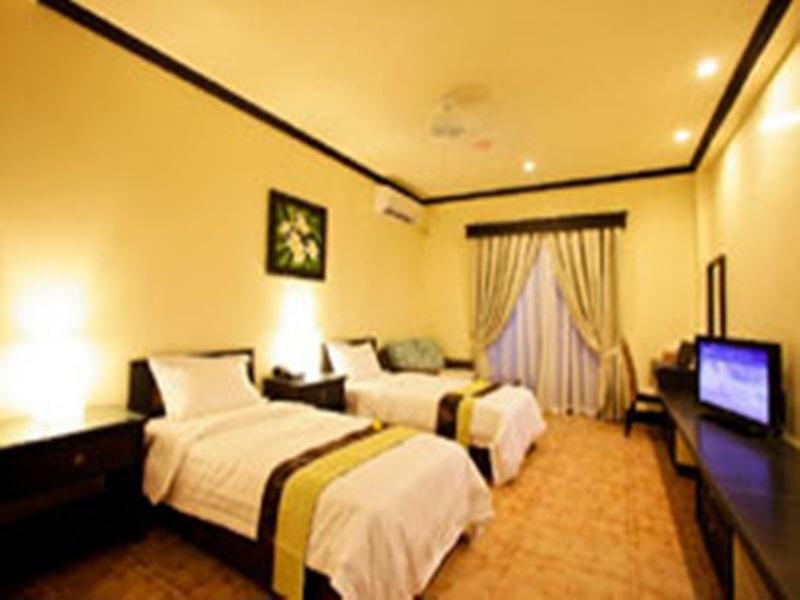 Comfortable hotel in the center of the tourist district with a beautiful spa and massage facility. At first I was surprised at the condition of the room and hotel. For the price, I was expecting spare accommodations, but clean and orderly. Instead, the hotel was cluttered and in a state of semi-disrepair, my room had holes in the ceiling, the grout in the bathroom was dark, and it was very loud every night until about midnight due to staff and guests yelling across the hotel at each other (not in anger, just to communicate; sleep with earplugs). However, facilities across the island are in a similar state, so I concluded that accommodations are simply more expensive than in your average first world, continental destination. In the end, my linens were clean, I never saw vermin or insects in my room, the manager is a very nice lady, and the location of this hotel cannot be beat (right in the heart of the largest city, close to bars/ restaurants, and one of the best beaches on the island). Finally, brunch at the nearby Hyatt Regency is delightful. Great spa in the front but the hotel rooms could use a little touch up. Not bad for the price but if they invested a little more to make the rooms a little more homey, then I would add another star . They do need to clean under the bed though. Our room originally had way too much dust under the bed. Fantastic location and was enjoyable. Would possibly stay again. Bed and towels large and clean but tiny shower and tub. No restaurant or bar but the room did have large mini-fridge for take-out leftovers and storing drinks. Lots of construction going during this time which is not a problem unless you try sleeping late or catching a nap early in the afternoon. The location of hotel is very good because the micro beach and garapan downtown is very close. Howeber, I stayed 2 days with total 3 people, but they did not clean the room even once during 2 days. The bathroom is very small and equipments were almost had in trouble. Therefore we really felt uncomfortable... I would not like to recommend to family trip. Rooms were filthy. Inadequate water pressure. No hot water water. Room was never made and had to call front desk to replace towels. Poor security. House keeping terrible and staff had poor or no courteous to customer relations. Will never stay again. Good location in center of Saipan. Lots of stores and restaurant nearby. No food service, but price is good. 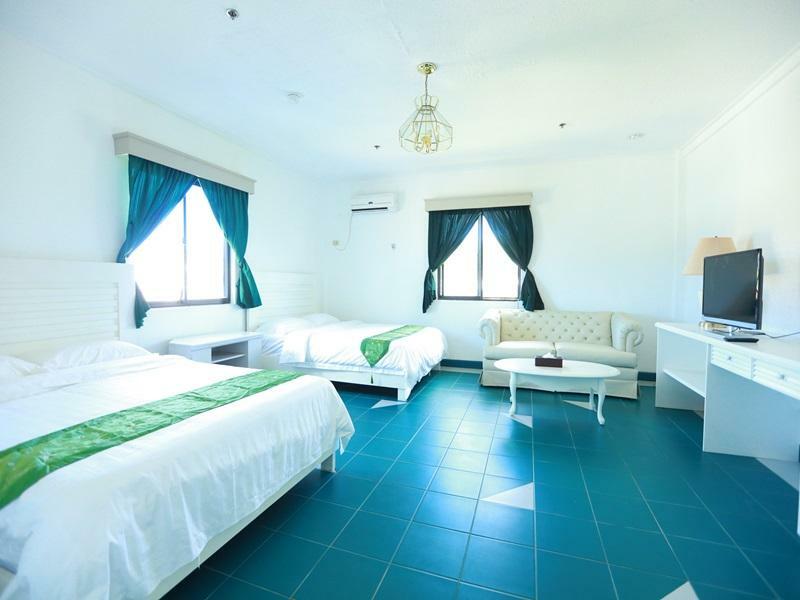 If your travel plan is visiting Managaha, diving,cycling..., no big requirement for hotel just sleeping there, recommend Hanamitsu, little tips: you can plan in Fiesta hotel. If you are Chinese, recommend Hanamitsu, but their staff can speak English/Japanese/Korean. terrible! room was unclean. restroom especially looked like it hasn't been cleaned for weeks! it looked like somebody's room. this is not a family oriented hotel at all. employees were not on the front desk both times i went. they were selling massages on the side. It seems like the hotel is just a front. this place is running some kind of business other than it being a hotel. It was so horrible I could not stay for another day of my reservation. it was unfortunate that i could not get a refund. The location is kinda convenient. There are quite a number of restaurants and convenient stores. But facilities wise, nothing to compliment about. Hygiene so-so.